Idyllic sunny beaches, fascinating ancient ruins, breathtaking scenery and some serious old-world charm are just some of the highlights that await you in this historically rich Eastern European nation. 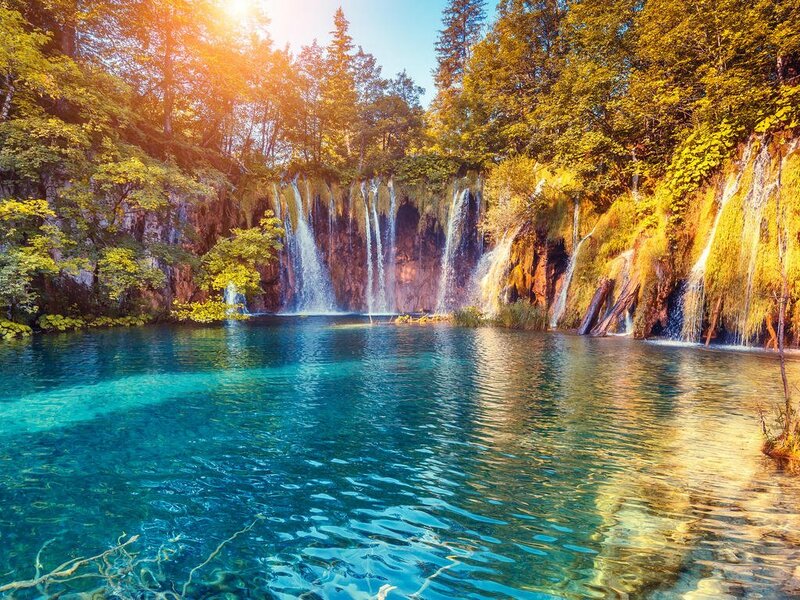 With thousands of miles of seafront and more than a thousand islands blanketed in lush vegetation, Croatia’s coastline is Eastern Europe’s Riviera. Even during the busy season there are still enough off-the-beaten-track islands, secluded coves and stone fishing villages to make nature lovers feel as if they’re visiting Europe at its most unspoiled. Those seeking sophisticated luxury will be equally well catered for by the wide range of upmarket hotels, yacht-filled harbours, glitzy cocktail bars and world-class restaurants serving mouth-watering cuisine. 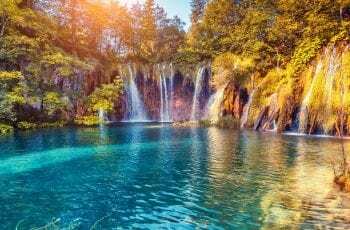 With its gorgeous historic walled cities full of fairytale castles and its rural areas blessed with impressive national parks, it is no surprise that Croatia is emerging as one of Europe’s premier seaside destinations. Dubrovnik is a well-preserved historical city in southern Croatia, known for its distinctive 16th century Old Town, encircled with massive stone walls. After a disastrous earthquake in 1667 the medieval town was rebuilt by Baroque planners and the city’s historic core seems to have been suspended in time ever since…. In Croatia, the standard voltage is 220 V. The standard frequency is 50 Hz. The power sockets that are used are of type C/F. Some hotels do have 110-volt outlets to accommodate USA pins/plugs. However, it is best to take a Converter and Adapter Plug Set (usually available for under $30 at retail stores such as Target or Walmart). CurrencyKuna (HRK; symbol Kn) = 100 Lipa. Notes are in denominations of Kn1,000, 500, 200, 100, 50, 20 and 10. Coins are in denominations of Kn25, 5, 2 and 1, and 50, 20, 10, 5, 2 and 1 lipa.The import and export of local currency are limited to Kn15,000. The import and export of foreign currency are unlimited but it is compulsory to declare upon arrival the amounts that exceed the equivalent of €10,000 or approximately $11,000.Foreign currency can be exchanged in banks, by authorized dealers and post offices.BankingBanking hours: Mon-Fri 0700-1900, Sat 0700-1300.American Express, Diners Club, MasterCard and Visa credit cards are widely accepted andATMs are widespread.To avoid additional exchange rate charges, travelers are advised to take traveler's cheques in US Dollars, Pounds Sterling or Euros. 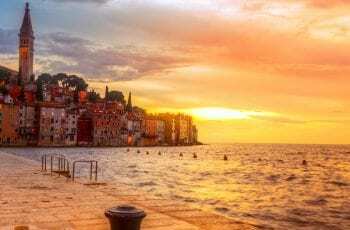 Food is almost universally safe, and tap water is fine to drink.The Adriatic coast is renowned for its variety of seafood dishes, and Italian influences are found here as well as in Istria. Inland areas feature steaks and hearty stews, with freshwater fish prominent on menus in Slavonia. You’ll find exquisite cakes and deserts all over the country. Croatia produces plenty of wine, with the best reds generally coming from the Pelješac peninsula on the coast, and the best whites usually produced in eastern Slavonia and in Istria.5% – 10%tip is sufficient (and is expected in the more upmarket restaurants), otherwise just round up the bill by a few kuna. 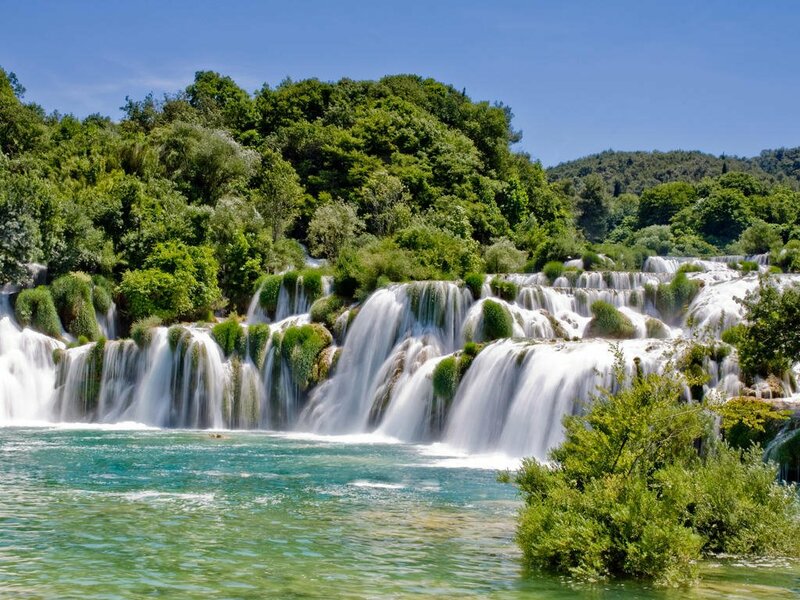 Croatia has a varied climate, with continental climate conditions inland and Mediterranean influence on the Adriatic coast. 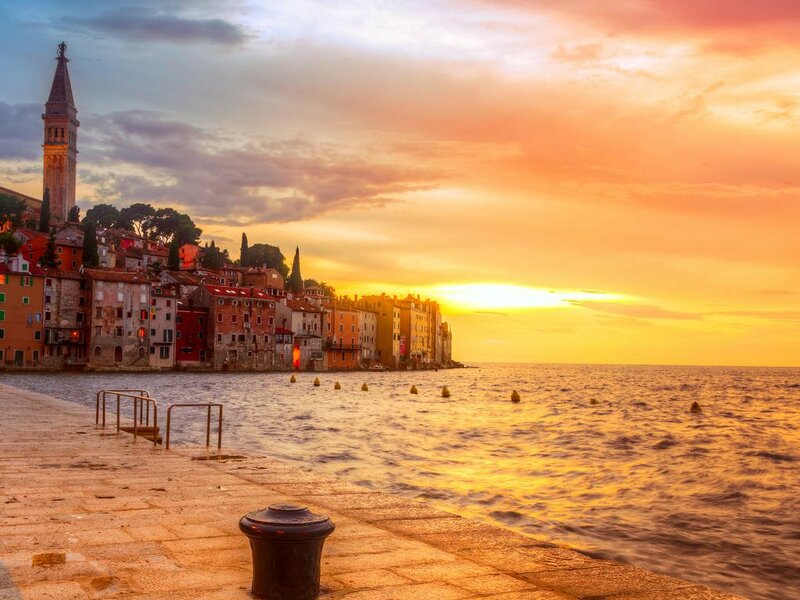 Peak season is July – August, with temperatures in the high 80s or in the 90s in places like Split, but you can expect plenty of sunshine from roughly May to October on the coast, and the shoulder seasons (May-June and September) are among the best times to visit Croatia. Inland is also hot in the summer but can be bitterly cold in the winter with sub-zero temperatures and heavy snowfall. Winter on the coast is milder but can be quite rainy. Zagreb (ZAG),Rijeka (RJK), Split (SPU), Pula (PUY) and Dubrovnik (DBV) international airportsall receive domestic flights Domestic services also run to Zadar (www.zadar-airport.hr) and Osijek (www.osijek-airport.hr), which both handle some international traffic, and the smaller airports on the islands of Brac (www.airport-brac.hr) and Los¡inj (www.airportmalilosinj.hr). The main domestic routes operated by Croatia Airlines (www.croatiaairlines.hr) are Zagreb-Dubrovnik and Zagreb-Split.Note: Buying domestic tickets whilst in Croatia can sometimes be cheaper than online.International and local car hire facilities are available in Croatia's airports, cities, bigger towns and leading resorts. There is a good motorway network (though it doesn’t yet extend down the coast to Dubrovnik). In some areas the road quality decreases somewhat, and the main coastal highway gets extremely congested during peak season. Speed limits are 130kph (81mph) on motorways, 110kph (62mph) on highways, 50kph (31mph) in built-up areas and 90kph (50mph) outside built-up areas. Heavy fines are imposed for speeding. The legal blood-alcohol limit is 0.05%. It is compulsory for front and rear passengers to wear seat belts. It is illegal to use a handheld mobile telephone while driving. Headlights should be turned on at all times. Vehicles are driven on the right side of the road.National or International Driving Permit. All motorists should also carry a valid passport or national identity card as proof of identity at all times. A Green Card should be carried by visitors (except EU nationals) taking their own car into Croatia. National registration in country of origin is required for all foreign vehicles. Third party insurance is mandatory when hiring a car and a valid credit card is also needed.Registered taxis are easy to find, safe and since fares were regulated recently, they are reasonably priced.Local tourist agencies in many main centres hire bikes, and some local tourist boards (eg Zagreb County,www.tzzz.hr) have cycle routes and maps online.Regular coaches operate between most towns (see Zagreb bus station website, www.akz.hr).Most towns and cities have a comprehensive local bus network; trams operate in many cities (Zagreb, Split, Osijek, etc). The historic centre of some towns (Split, Dubrovnik) are pedestrianised and pleasantly car-free.Croatian Railways (www.hznet.hr) operates trains in Croatia. The main rail routes are Zagreb-Split, Zagreb-Rijeka and Zagreb-Osijek. There are no trains to Dubrovnik. It is generally quicker to travel by bus. An upgrading of the track between Zagreb and Split now means that this journey can be done in 5 hours 25 minutes.Jadrolinija (tel: (051) 666 111; www.jadrolinija.hr) is the main provider of car and passenger ferries and catamarans in Croatia. There are regular connections between the main ports and the offshore islands. A coastal service runs all the way from Rijeka in the north to Dubrovnik in the south, via Split, Stari Grad and Korcula. Lightweights and beachwear (including sun protection) are recommended for summer. Medium weights for winter with heavy, warm clothing for inland areas. It is a good idea to pack waterproofs at any time of year. Lightweights and beachwear (including sun protection) are recommended for summer. Medium weights for winter with heavy, warm clothing for inland areas…. Croatia is safe in general. We recommend normal precautions be taken as you would for any city in the world. Be aware of your surroundings and stay in well-lit areas. Don’t flash wealth. If you have items of sentimental value, leave it at home. Visitors should avoid all political gatherings and demonstrations. Visitors should also avoid "gentlemen's clubs" because, in the past, such establishments have presented foreign customers with inflated bills and threatened those who refuse to pay.War hostilities ended in all parts of the country in 1995; however, de-mining of areas along former confrontation lines will continue until at least 2018. Mined areas are well-marked with Croatian-language warning signs using the international symbol for mines: a skull and crossbones inside a red, upside-down triangle. Drivers in former conflict areas should stay on paved roads to reduce the risk of encountering unmarked mines and unexploded ordnance. ENTRY REQUIREMENTSMake copies of all your important documents such as passports, driver’s licenses, credit cards, etc. Keep copies with you and back at home. If anything is lost or stolen this will be a lifesaver.Passport:Passports must be valid for at least 3 months beyond the intended departure date. Please ensure you have at least one blank visa page (not endorsement pages) in your passport.Visa:U.S. citizens do not require a visa. Non-U.S. citizens should consult with your local embassy.